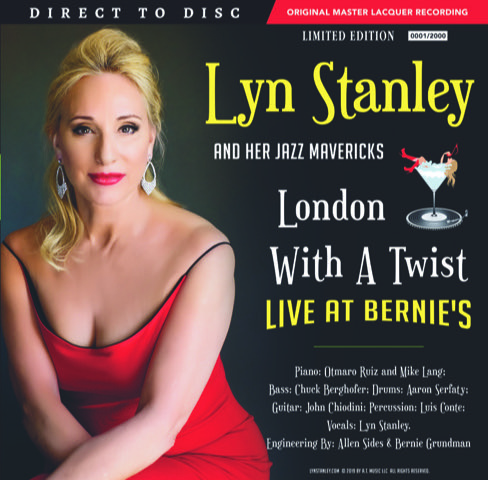 Internationally acclaimed jazz vocalist Lyn Stanley’s view of perfection includes none of that post-production studio wizardry. For her, perfection is the true sound of a stellar live performance, recorded direct to disc through vintage equipment, in a studio where’s she surrounded by musicians and techs who share her wavelength. The result of such a dream session can be heard on her brand-new vinyl album London with a Twist—Live at Bernie’s, set for release on May 10, 2019. London with a Twist is song stylist Stanley’s seventh release. 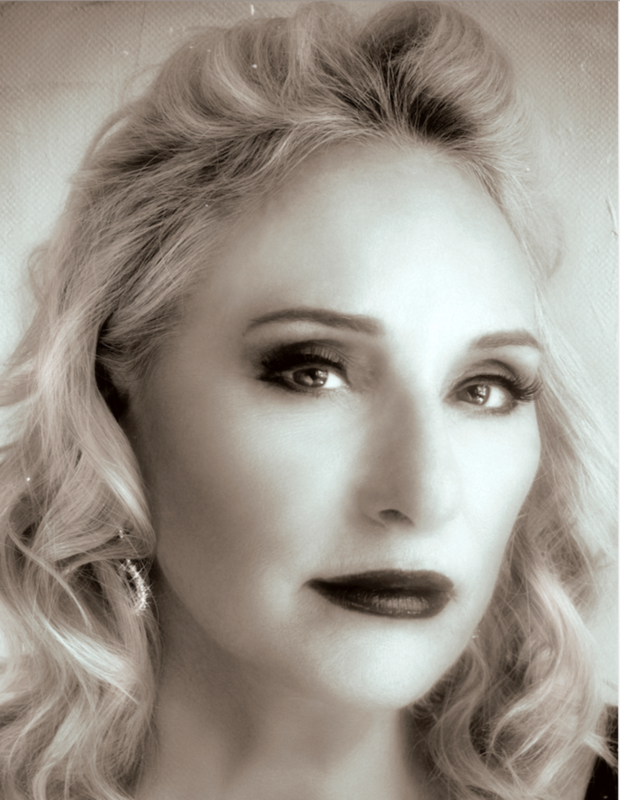 It’s her second project paying tribute to an earlier sultry Southern California-based singer, Julie London, following 2018’s London Calling—A Toast to Julie London. Before the London with a Twist session even began, Stanley and company encountered a dismaying range of glitches, starting with a lingering case of acute bronchitis that added a little rasp to her voice. Nevertheless, throughout the album she’s projecting with power and pride both vocally and emotionally. Listeners will notice that Lyn’s tone this time around is deeper and sultrier. Her sound is in keeping with her inspiration, Julie London, “But my voice isn’t as husky as hers. I’m not pretending to be Julie, I’m honoring her,” Stanley says. And then there were mechanical difficulties. The day before the session, a dial broke on the custom-built totally discreet vintage API 16 input console that had been brought in for the session. According to Lyn, whose interest in sound has grown along with her professional career, the board had been “sitting in the bowels of Capitol Records since the 1970s,” so replacement parts aren’t readily available. Unless, of course, you’re working with a veteran mastering engineer such as Bernie Grundman: the Bernie of London with a Twist—Live at Bernie’s. Assistant engineer Beno May rummaged around in his back office at Bernie’s till he found the right part to swap in. “They worked on the repair till midnight,” Stanley recalls. The next day, the session kicked off as scheduled, but by the end of the first tune one of the piano keys went south. They scuffled to find a piano tech on a Saturday, and came up with a dedicated pro who had recently undergone major heart surgery: “He still had all those things stuck to his skin,” Lyn notes. He was in and out quickly enough that there was still time to record a take of sides A and B, earning a hearty round of applause from all on hand. Stanley finds the audiophile aspect of recording totally engaging and extremely satisfying. “I’d take a great audio system over a fancy car or a big diamond any day,” the vocalist muses. In addition to London with a Twist, Lyn plans to release an addendum album, The Challenge LP, a single disc with the same songs on each side from different recording sources. “One side was recorded direct to disc, the other was recorded on a souped-up Chevy of a tape machine that Bernie’s got,” Lyn explains. A limited edition pressing of 300 albums will be available May 10, 2019 for audiophiles to discover and appreciate the difference in the sound.